Each of the eight Regional Planning & Development Districts is receiving nominations for the Region 6 Lantern Award. Louisiana Economic Development (LED) bestows a Lantern Award to outstanding manufacturers, one from each of the eight regions of Louisiana per year. The deadline for nominations is Monday, May 7. These are received in each region through the state’s eight Regional Planning and Development Districts. 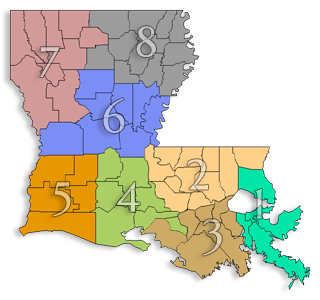 Nomination packages may be obtained at the Louisiana Association of Planning and Development Districts’ website www.lapdd.org and are due to the corresponding district office.Anyone may nominate a manufacturer for this award. Download the 2012 Nomination Packet.